Arrive into Auckland and pick up your itinerary and maps, before making the most of your time in Auckland. Also known as the ‘city of sails’, this vibrant city is situated between two harbors – Manakau and Waitemata. From the gourmet culinary offerings to the beaches of the West Coast and contemporary boutiques, Auckland has something for everyone. A great way to spend your time here is with a cruise around the harbor, where you can take in the sights from a new perspective. 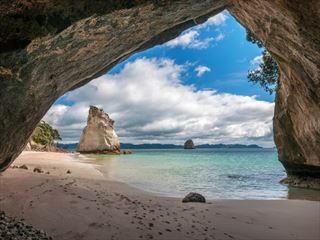 Collect your hire car and begin exploring some more of Auckland’s many sights. This is New Zealand’s largest city and also adjacent to one of the most beautiful natural harbors, so you’ll be overwhelmed with choice when it comes to activities and sightseeing. You may wish to embark on a full day Taste of Auckland tour, which showcases the very best of this city, including harbor Bridge, the Heritage Wine Region and the Auckland Fish Market. 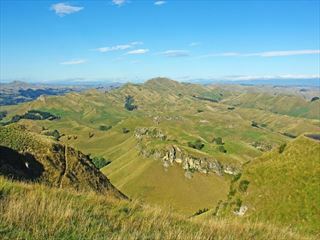 Drive along State Highway 1, past the Bombay Hills to the dairy farmland of Waikoto. If you enter east, you’ll find yourself in the heart of Hobbit country where you can visit the set of Hobbiton and the Lord of the Rings films. South of this area of Matamata is the township of Tirau, where you’ll find the giant metal sheep and sheepdog statues, as well as a number of antique and craft stores. 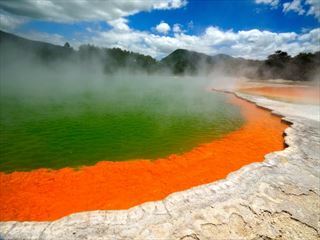 From here, head to Rotorua – a geothermal wonderland that is also brimming with traditional culture. This is largely considered to be the cultural center for Maori people so there are few places better than Rotorua to catch a glimpse of the rich heritage in New Zealand. One of the best introductions to Maori culture is an evening at the Mitai Maori Village where you’ll be treated to traditional performances and demonstrations, as well as a classic Hangi meal. 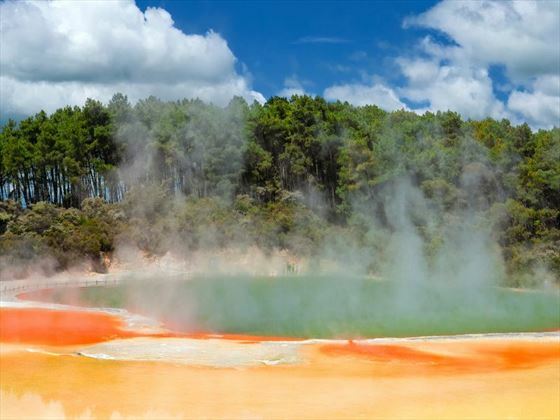 Sitting in the heart of the world’s most volcanically active region and permeated by a strong smell of sulphur, Rotorua is a unique destination. No visit here would be complete without a trip to the Wai-O-Tapu Thermal Wonderland, just a half hour drive from Rotorua. For the more indulgent visit to this region, head to the Polynesian Spa where you can take advantage of the natural thermal pools and unique mud massages. A visit to the Agrodome will bring you to the national animal, the sheep, or you could visit Rainbow Springs for a glimpse of the iconic Kiwi bird. A strong contender for second place to Queenstown in terms of adventure, Rotorua is also brilliant for outdoor pursuits such as forest canopy tours, rafting and zorbing. You’ll drive past the township of Taupo today as you make your way to Wellington. 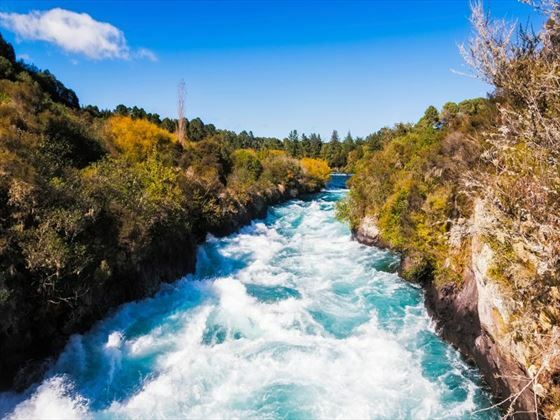 This area is home to the largest lake in the country – Lake Taupo – as well as being in close proximity to the Huka Falls. 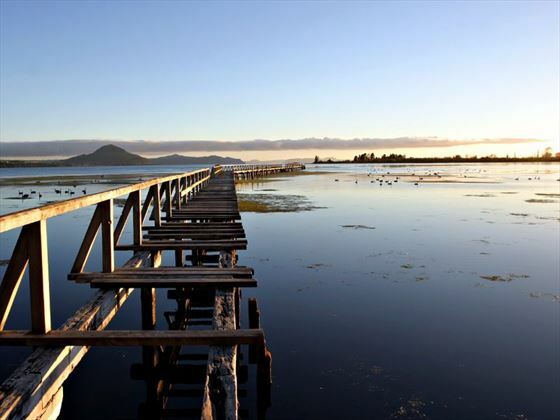 A vast volcanic caldera from an eruption that occurred more than 1800 years ago, this lake is now a haven for watersports and fly fishing. A little further on from Taupo, you’ll reach the military town of Waiouru and then descend to the farmland and rural towns of Paraparaumu, Paekakariki and Plimmerton. Most of the day will be spent completing your drive to Wellington but the scenery along the way makes it a pleasant journey. Wellington is the capital of New Zealand and sits on a deep natural harbor. 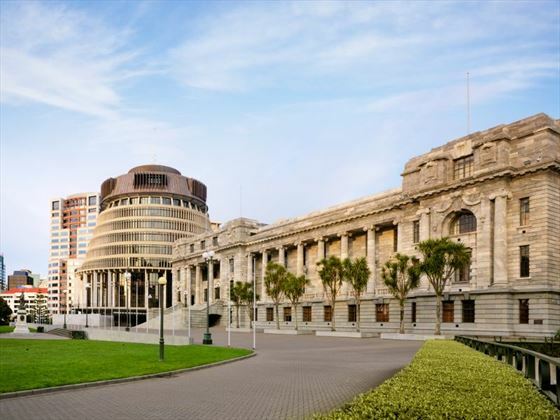 If you arrive early enough, be sure to check out the national museum, Te Papa, which is close to your city center accommodation. 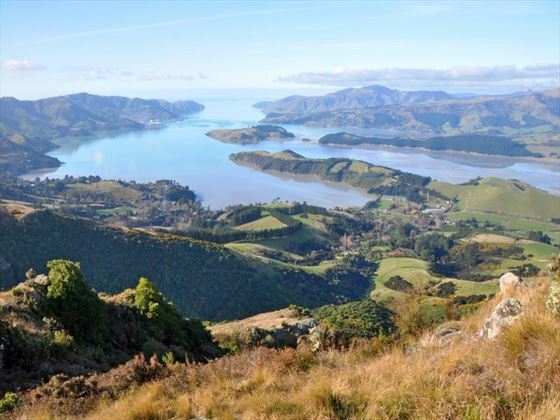 Begin your day with a beautiful 3hr ferry journey from Wellington to Picton. This is regarded as one of the most picturesque ferry rides in the world, passing many points of interest such as Pencarrow Head which homes New Zealand’s oldest lighthouse, Red Rocks and its seal colony, and Oterangi Bay. For around an hour of the cruise, you’ll venture through the Marlborough Sounds which provides some stunning photograph opportunities. Upon arrival into Picton, pick up your hire car and follow the valley south towards Blenheim, in the heart of the wine producing region of Marlborough. 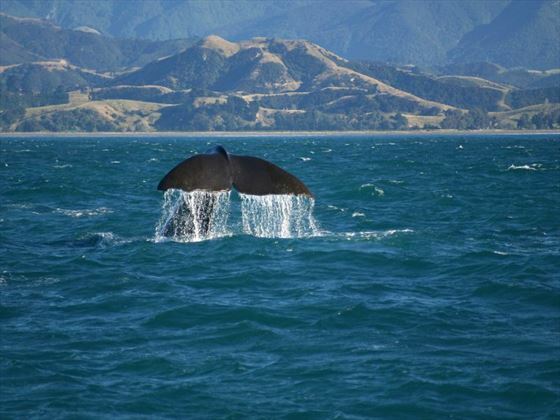 Explore the Kaikoura Coast today, an area famous for whale watching and swimming with seals. There are many opportunities to see the wildlife en-route, including many seabirds and fur seals, with the South Pacific Ocean to the east. While there are many cafés, shops and attractions to enjoy here, the primary reason people love visiting is for the wildlife. Drive from Kaikoura to Christchurch, following the coastline inland and through the major wine region of the Waipara Valley. There’s a wonderful detour along this route which takes you to Hamner Springs where you can indulge with a dip in the thermal pools before continuing with your journey. Upon arrival into Christchurch, you’ll find yourself close to the International Antarctic center which is highly recommended and offers the chance for you to experience the polar region without stepping foot outside of New Zealand. The largest city in the South Island, Christchurch is an eclectic destination with plenty to see and do. Whether you choose a city tour to admire the sights, a ride on the historic trams or a more active bike tour, getting to know this fascinating destination is well worth it. This area is known as the ‘Garden City’ for its abundance of parks, which are relaxing and scenic spots to unwind and take in your surroundings – take a tranquil boat trip along the River Avon if you have time. Alternatively, the Ko Tane Maori Experience is a great way to immerse yourself in the traditions and culture of New Zealand. Venture into the heart of the South Island today, crossing the Canterbury Plains and stopping off at Geraldine before traversing Mackenzie Country. Lake Tekapo is the first of the large lakes on your journey, where you can admire the amazing surrounding landscape, followed by Lake Pukaki. It’s here that you’ll catch your first glimpse of Mt Cook which overlooks the lake. There are countless ways you can make the most of your time in Mt Cook National Park, from kayaking and hiking to a scenic helicopter flight with a glacier landing. Just south of Mt Cook is Twizel – the location for many of the scenes in the Lord of the Rings films and a must-see for movie enthusiasts. 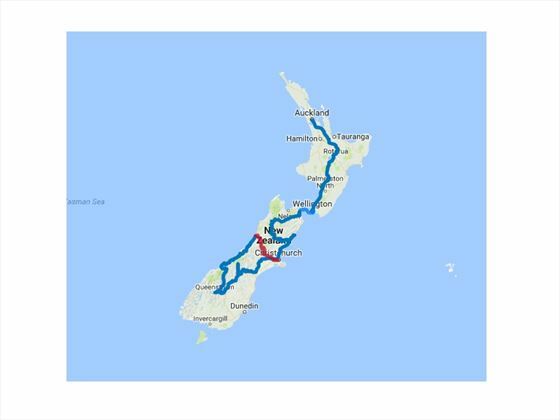 Along the way there are some interesting highlights including Lindis Pass – one of the highest roads in New Zealand – as well as the quaint village of Tarras, the beautiful Bendigo Reserve and historic Cromwell. Venture through Gibbston Valley to reach the famous Kawarau Bridge where you bungy jump into the vast space below, before being greeted by the stunning Remarkables mountain range as you approach Queenstown. 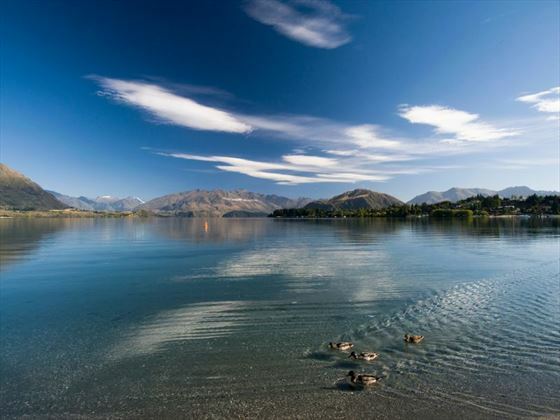 A scenic and fun-loving location, Queenstown caters to all manner of interests and vacation types. No matter how energetic or relaxed you want your time here to be, there’s an activity to suit you. 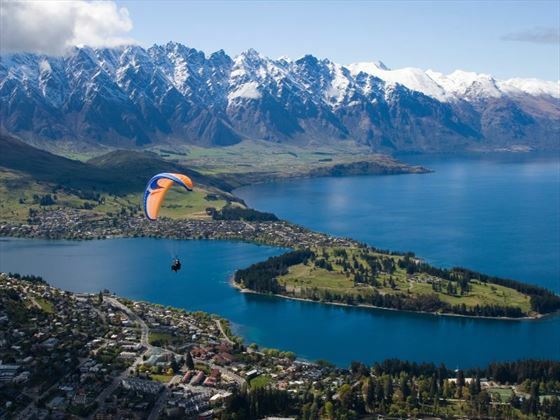 For those looking for action and excitement, Queenstown is a fantastic place to be – bungy jumping, skydiving and amazing 4WD excursions are just some of the choices available. For a more sedate activity, wander through some of the picturesque vineyards or take a cruise on a vintage steamship across the placid lake waters. Cross the Crown Range road, New Zealand’s highest sealed road, to the alpine town of Wanaka which is the gateway to Mt Aspiring National Park. The route from here follows the shores of Lake Wanaka and Hawea to lead you to the village of Makarora. After visiting this quaint area, head towards the Haast Pass and on to the West Coast towards Franz Josef. 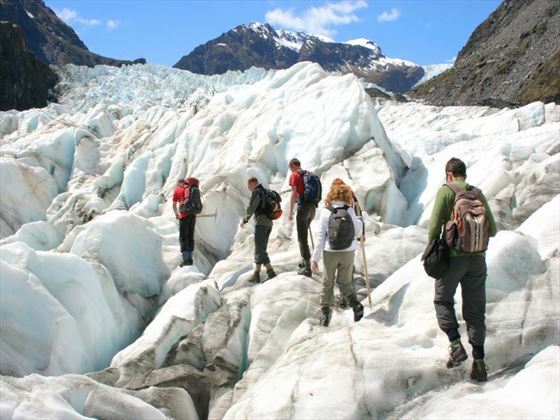 Spend time admiring the views and icy scenery of Franz Josef today, the glacier here being the main feature that so many people flock to see. There are many walking routes to embark on here to give you the best opportunity of seeing the landscape, as well as helicopter tours for a unique perspective. The township is small but there is a great atmosphere and the option to unwind in the glacier hot pools is highly recommended. Drive north to the gold mining town of Ross and onwards to the West Coast’s largest town of Greymouth. Here you will board the Tranz Alpine scenic train, journeying through Arthur’s Pass National Park to Christchurch. The route takes you through gorges and river valleys and remains one of the most sensational train routes in the world. Transfer to the airport for your departing flight from Christchurch today.